Chakra is a Sanskrit term which means wheel or circle or cycle. From a metaphysical point of view, it is described as a spinning wheel of light. Whereas chakras are an intricate part of tantric yoga and have been discussed in the Upanishads, it is generally believed that the Buddhist Hevrajya Tantra introduced the hierarchies. Auras (the etheric body) were generally treated with scepticism till such time as Kirilian photography came into being. Today, auras can be photographed with special cameras and also critically examined – there is a strong belief that illnesses can often be identified in the auric body first before the symptoms appear in the physical body. The seven major chakras are purportedly the energy vortices through which energy flows and circulates throughout the body. If the aura represents the etheric body outside our physical body, the chakras represent the energy centres or nodes within our physical body. Not quite so coincidentally, the seven chakras are associated with the seven endocrine glands explained in the table below. The seven major chakras are also identified with the seven (VIBGYOR) colours. It is believed that to maintain good health, energy needs to flow freely throughout the body. When the chakras get blocked, they lead to chronic illnesses. It is therefore important to understand what each of the seven major chakras represent and what we can do to keep the energy flowing freely. There are of course, various methods adopted including Reiki, Pranic Healing, other energy healing methods, crystals, chakra exercises, etc. Here we only discuss what each chakra represents and elsewhere in this blog in preceding and subsequent articles, affirmations to deal with each chakra. 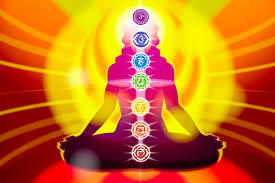 Ancient texts suggest that there are 108 chakras within the physical body that can be worked upon. Only seven of these are considered to be the major chakras having a significant impact on our wellbeing and behaviour – these are enumerated in the table below. 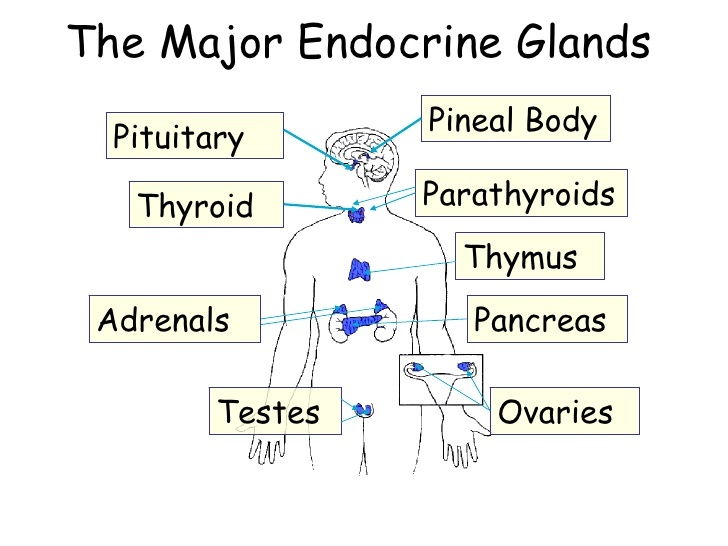 Note that a severely blocked or afflicted chakra invariably affects the corresponding gland. 1. The Root Chakra represents our foundation and feeling of being grounded, it also represents survival. Survival issues include financial independence, basic necessities such as food and shelter and of course life itself. It is blocked by Fear. 2. The Sacral Chakra is our connection and ability to perceive, acknowledge and accept other people and new experiences. It also represents pleasure and materialistic desires. It is blocked by Guilt and Non-Acceptance of other people and experiences. 3. The Solar Chakra represents our ability to be confident and in control of our lives. Control over ourselves, perception of being controlled by others or attempting to control others affect this chakra. Self-confidence, perseverance, grit, determination and willpower are positive aspects of this chakra. It is blocked by shame. 4. The Heart Chakra represents love and acceptance of and compassion towards all living beings. Joy, happiness, ability to receive love and express it freely, inner peace, etc. are positive aspects of this chakra. The Heart Chakra is blocked by Grief, Hatred and Greed. 5. The Throat Chakra represents communication, self-expression and voicing the truth. Art forms using the vocal chords and our ability to communicate are governed by this chakra. Where the freedom of self-expression is taken away, or one feels stifled or constricted or unable to express oneself creatively, the chakra gets afflicted. It is blocked by Humiliation, Lies and Untruths. 6. The Third Eye Chakra is perhaps the one that has received the maximum attention. It represents insight, intuition, imagination, wisdom and our ability to focus on and see the big picture. For people who meditate regularly for weeks and months, vibrations in this chakra are often the first thing to be experienced. For those who practice Nirmiti Nidra, this chakra begins to vibrate within the first week. My personal experience at our workshop has been several participants who sense their Agnya Chakra vibrating in the very first session. Decision making, affirmations and positive thinking are also associated with this chakra. It is blocked by Illusion and gets charged by connecting with your Inner Self. 7. The Crown Chakra lies at the upper end of the hierarchy of chakras and represents our ability to be fully connected spiritually to the Infinite Oneness. This is the chakra that is said to responsible for a feeling of ecstasy, enlightenment and pure bliss. It is blocked by Ego which keeps us firmly attached to all material things and gives us a bigger-than-it-is identity.